Everyone in the beverage industry likes to think they put out a great product. The customers that you generate are generally enthusiastic too… See our full premium soda line and decide for yourself! All formulas are all ‘inhouse blends’. We purchase flavoring from top suppliers developed over the years to maximize memorable qualities. Each flavor is designed to be the best in its category. For example, our natural orange soda takes a back seat to no other; it has the tartness and aroma that reminds you of the real fruit. All of our flavors are ‘retro’. We strive for bold flavor, but avoid the perfumy artificial taste. Widest Selection in the State! 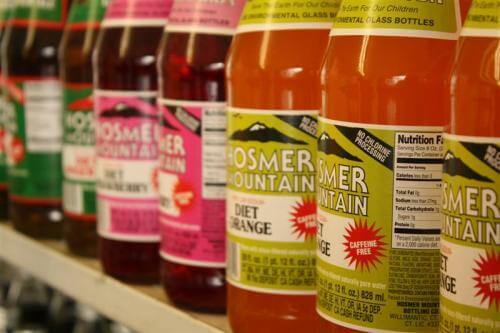 Hosmer produces over 30 flavors of soft drinks. We also make a special flavor-of-the-month, many of which are quite unique and fun. Most of our 12 flavors of diet soda contain aspartame (nutrasweet) blends and are quite flavorful and caffeine-free. The Diet Cola uses splenda instead of aspartame. We also carry old-fashioned Moxie and produce our own delicious natural Iced Tea and a fabulous Pink Lemonade. With concern about sugar, calories, and health we also have fabulous sparkling waters. (Plain, Raspberry, Tangerine, and Lemon-Lime) These seltzers show off our outstanding naturally pure source of water. Never treated with chemical, our water is state-tested but never adulterated. 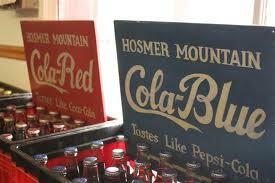 Hosmer uses two sizes of glass bottles (28 & 12 oz.) to package our products. Many consumers have been hoodwinked into accepting plastic soda bottles. Even before they are opened, carbonation is permeating through the walls of a plastic bottle, actually reducing the fizz. After opening, bubbles escape faster from plastic bottles than from glass bottles due to surface irregularities in the plastic. Flat soda often ends up going down the drain. 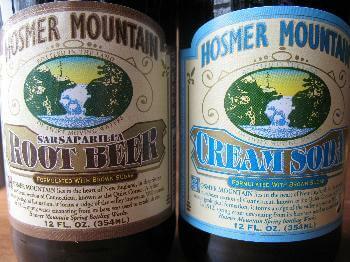 Hosmer Mountain Soda stays fresher longer. Metal cans are also an inferior soft drink package. Cans do not insulate a cold beverage, nor can they be resealed. Cans also present an unsanitary drinking surface. Only the Best comes in glass. ‘Going green’ is a new term for what Hosmer has done for over 100 years. We sterilize over 500,000 bottles every year. You might call them environmental bottles. An “environmental bottle” is a bottle which, when used, places minimum stress on our earth. There are no ores to mine as in metal cans, and no oil to pump from the ground to form plastic bottles. Glass is produced from common sand. 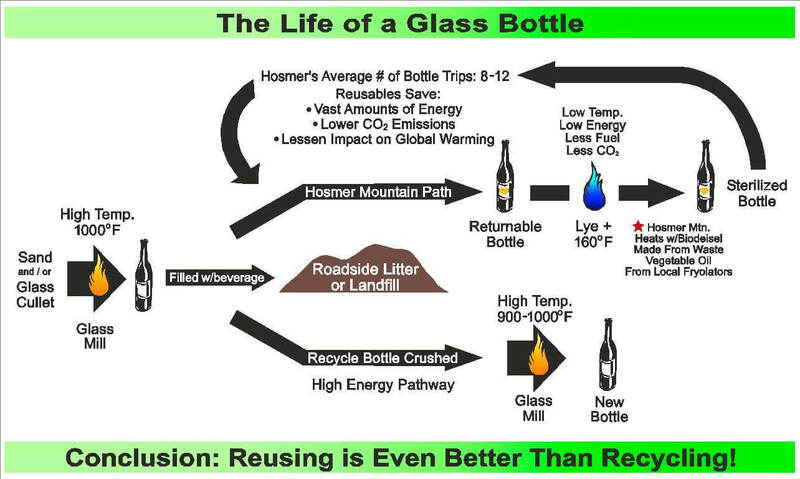 Better than recyclable, an environmental bottle can be sterilized and reused. With each use, energy is saved compared to remanufacturing systems. The air that we breathe remains cleaner, with fewer chemicals used and fewer combustibles generated. Environmental bottles also give you a better reward for returning them for deposit refunds. (We at Hosmer have been charging a deposit since before Connecticut made it a law)! By using environmental bottles you are saving our valuable and finite natural resources, conserving our earth’s energy reserves, and lessening the pressure on our landfills. Such conservation measures consider the world our children will inherit. You should feel good about using environmental bottles. We do! Everyone in the beverage industry likes to think they put out a great product. The customers that you generate are generally enthusiastic too… why would they be buying it? But what happens when you enter your product in National Competitions for quality? We are proud to report that we are among the very best in test after test! 89 Root Beers were scored by 7 tasters with replications. 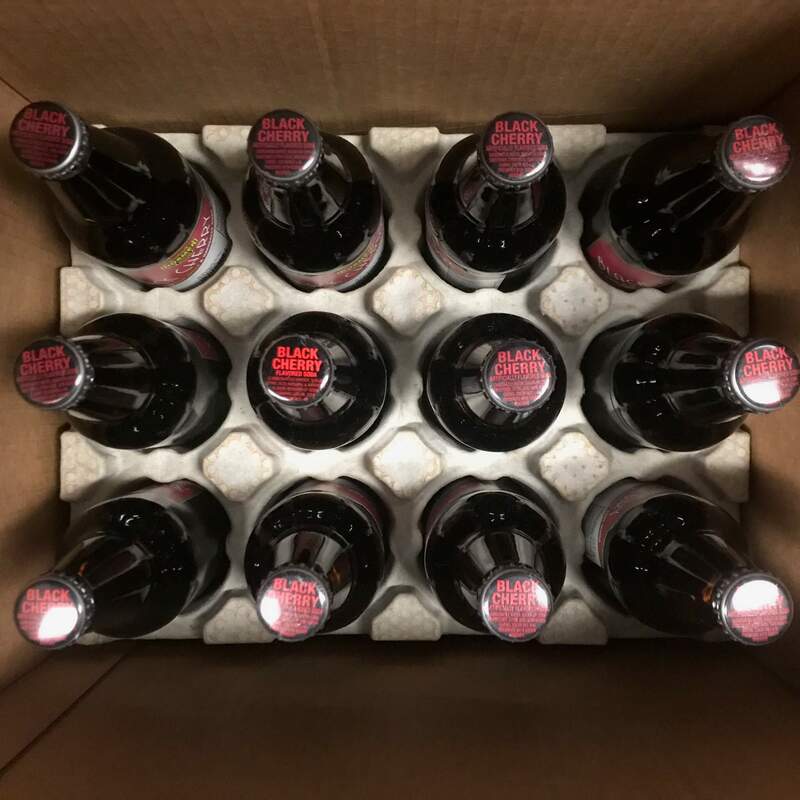 Root beers have a major fascination in this country and when we come out 4th out of 89 root beer entries, we can be confident that Hosmer has one of the best root beers in the country. 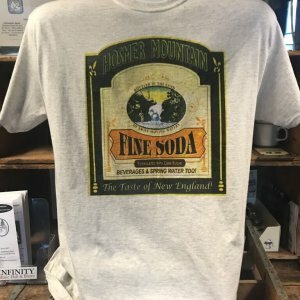 Rankings are split into Anthony’s ratings, and the public’s ratings (where visitors go to the web site and place their vote for their favorite root beer, sarsaparilla, or birch beer). The following are examples of some of the more well-known root beers versus Hosmer’s and their rankings (public rankings listed below). We are proud to report that we are among the very best in test after test!